An international team of researchers have discovered a remarkable microbe with a Jekyll and Hyde character. The bacterium Burkholderia gladioli lives in specific organs of a plant-feeding beetle and defends the insect's eggs from detrimental fungi by producing antibiotics. However, when transferred to a plant, the bacterium can spread throughout the tissues and negatively affect the plant. Microbes are not always hostile players when interacting with animals and plants, they can also be powerful allies. In fact, transitions between antagonistic and cooperative lifestyles in microbes are likely not an exception, although such shifts have rarely been observed directly. In a new study published in Nature Communications, researchers from Johannes Gutenberg University Mainz (JGU), the Max Planck Institute for Chemical Ecology and the Leibniz Institute for Natural Product Research and Infection Biology – Hans Knöll Institute (HKI) – in Jena, and the Universidad Estadual Paulista in Rio Claro, Brazil, gathered evidence for such a transition. Like many other insects, a group of herbivorous beetles, the Lagriinae, is in great need of an efficient defense. They lay their eggs on humid soil under leaf litter, where encounters with mold fungi are guaranteed. Researchers lead by Professor Martin Kaltenpoth from Mainz University have now discovered that the presence of a special bacterium, Burkholderia gladioli, on the eggs of the beetle Lagria villosa strongly reduces the risk of fungal infection and helps them survive. "Even when we applied mold fungi to the beetle's eggs, those with their symbiotic microbe present remained clean, whereas those without were often overgrown by a lawn of fungi", said first author Dr. Laura Flórez, who performed the experiments for her Ph.D. project at the Max Planck Institute for Chemical Ecology in Jena, describing one of the key findings. Although some other insects also rely on microbes for protection against natural enemies, a microbial defense of the vulnerable egg stage was unknown. How is the protection of the nutrient-rich beetle eggs achieved? Chemical analyses revealed four different antibiotics produced by the beetle's microbial bodyguards. While two of these were already known, the other two molecules had not been described before. "We were particularly surprised to find a new chemical that looks much more like a plant defense compound than a bacterial antibiotic", said Professor Christian Hertweck from the Leibniz Institute for Natural Product Research and Infection Biology, who guided the chemical analyses. All four compounds inhibited the growth of other microbes; some were active against fungi, others against bacteria. This chemical armory likely shields the beetle’s eggs from a broad spectrum of detrimental microbes. Surprisingly, the beetle's allies are very closely related to plant pathogens. 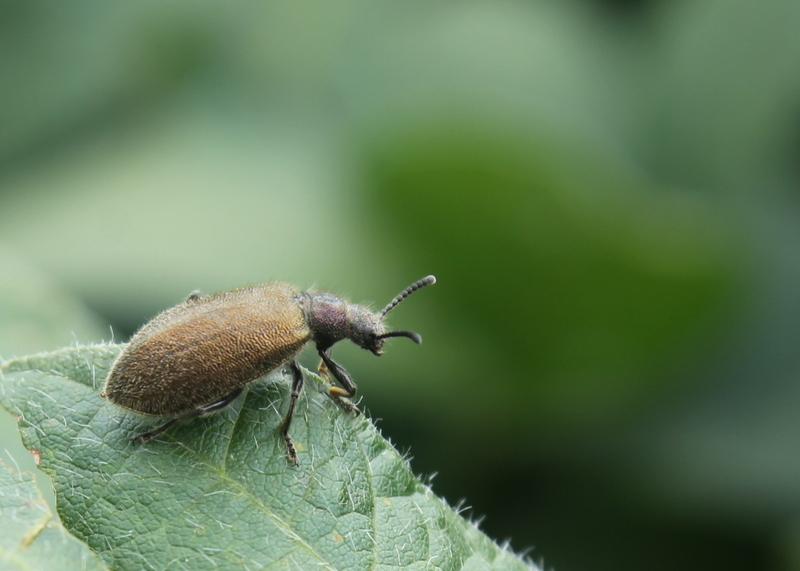 And indeed, when the scientists applied the bacteria to soybean plants, a common food source of L. villosa beetles in nature, the microbes spread throughout the plants. There they had a negative impact as the infection resulted in the production of fewer beans as compared to control plants. But do the bacteria actually have a chance to leave the beetle and infect the plant in nature? An additional experiment demonstrated that they do. 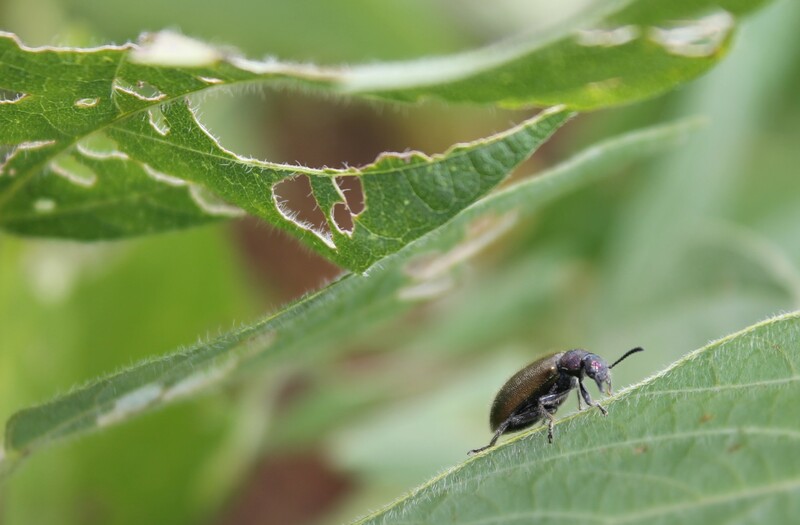 After beetles were confined to soybean leaves for three days, the bacteria genetic material could be detected in the leaves. That this is likely relevant in nature is shown by an analysis of five related beetle species: all contained Burkholderia gladioli strains, but these were more closely related to other environmental or plant-associated Burkholderia gladioli strains than to each other. Thus, the bacteria likely hitch a ride on the beetles to jump from plant to plant. There are many described cases of insects that carry microorganisms between plants. "What is interesting in the Lagria beetles is that their bacterial hitchhikers have turned into chemically-armed bodyguards", explained Professor Martin Kaltenpoth. In addition, the ability of this bacterium to produce previously unknown bioactive compounds highlights partnerships between insects and microbes as promising sources of novel antibiotics that may help to fight increasingly resistant human pathogens. Bacterial symbionts (Burkholderia gladioli) inhabit glands in the reproductive system of Lagria villosa beetles. 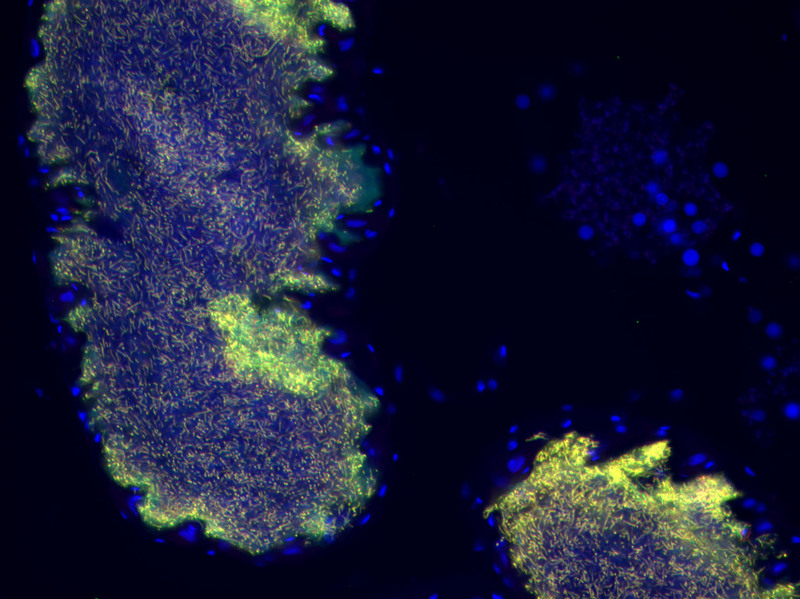 The fluorescently labeled bacteria are shown in yellow, insect host cell nuclei in blue. The bacteria produce antibiotics that protect beetle eggs from mold fungi. Lagria villosa beetles feed on a variety of crop plants, including soybean, and can transfer their bacterial symbionts to the plant tissue.